Order now for dispatch on Wed 24th Apr. 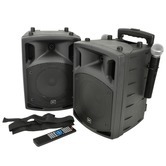 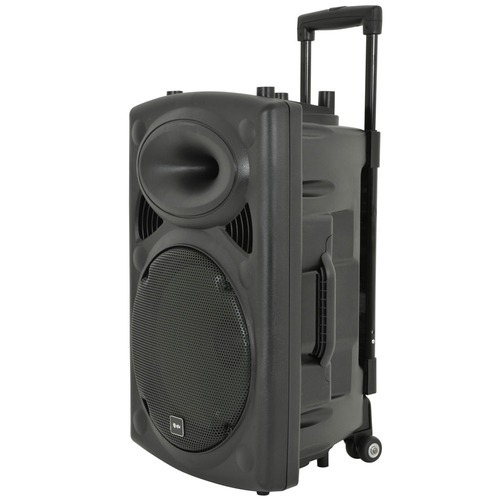 Self-contained portable PA units based on the QR-series speaker cabinet. 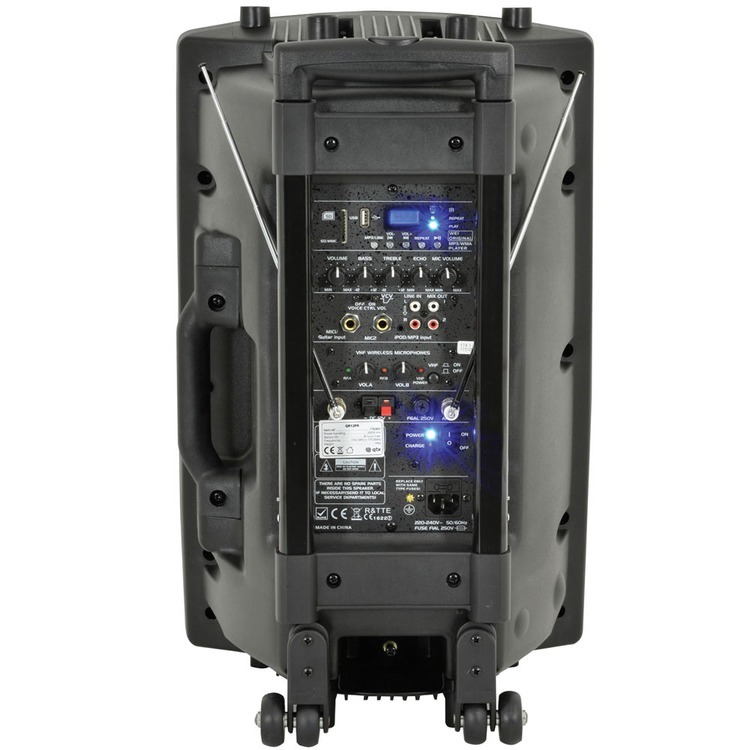 Built-in amplifier operating from mains or internal rechargeable battery powering a main driver and compression driven horn unit. 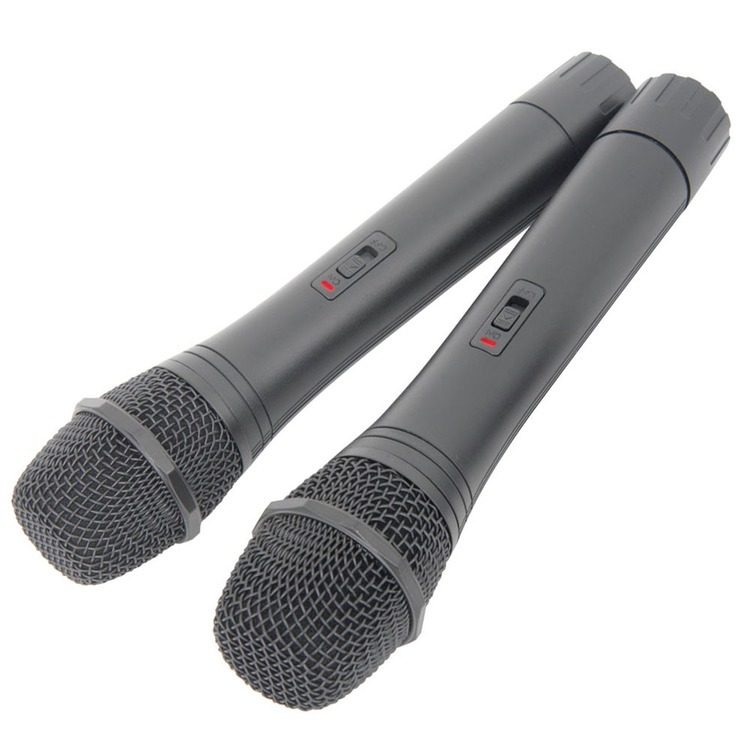 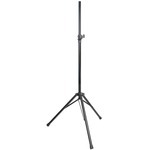 A pair of VHF handheld wireless microphones are included with the receiver built into the mixer/amp section at the rear along with 2 further mic inputs, auxiliary line input and integral USB/SD media player. 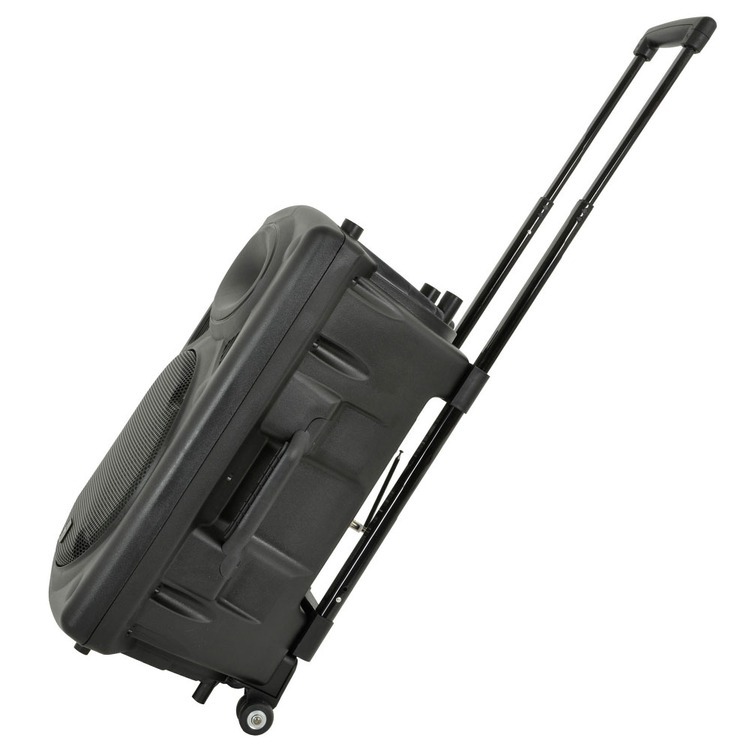 A moulded handle and pole mount are included and a retractable trolley handle and rear wheels provide easy portability. 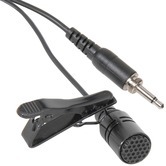 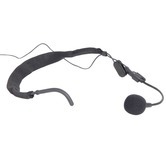 A lavalier tie-clip microphone for use with VHF and UHF beltpack transmitters.